Joseph Stilwell’s proxy campaign continues with Harvard Illinois Bancorp ($HARI), and May 22nd is the date set for the annual meeting. As well-meaning as my previous commentary was, it now appears premature–for Mr. Stilwell’s latest letter to shareholders takes the written word down to three sentences, from seven. Below is a picture taken at last year’s annual shareholder meeting of our Bank’s Chairman. 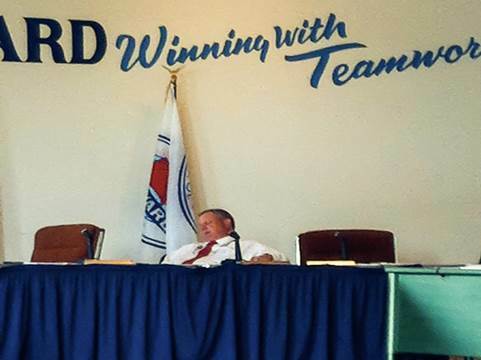 None of the other board members bothered to wake him up. So for today, I will dub this–“activism simplest.” Hopefully this moniker lasts longer than my last attempt.